IT management means numerous things nowadays, but a lot of it is internal now thanks to remote management services that don’t get in your way. 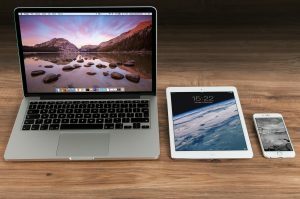 One of the most important places where obstructions shouldn’t happen is through the mobile devices you use in your company. Perhaps you have a BYOD (bring your own device) policy and your employees use mobile technology every day when out in the field. Without proper management on these devices, things can easily turn chaotic, especially in the realm of security. However, customer management is just as important, particularly when dealing with customers while on the go. When you need to stay in contact with customers, a good customer relationship management solution is mandatory for mobile technology. We now provide that for you here at GroupLink where our ContactWise CRM tool is now available for mobile devices. The benefits you have from this are tremendous in a time when spending more time away from the office is necessary to make business deals happen quicker. It’s still rare to find a good CRM tool for mobile technology, and we know you’ll find numerous ways to use ours to your advantage. This includes easily contacting customers in your address book based on a convenient mapping tool in the software. If you have to visit your customers in person for sales, this is to your advantage in locating them faster than any other method. The same goes for easy-to-use web access through any mobile device you carry. When you need to look up a website in a hurry, or find other information on Google, you have an enhanced visual experience so you don’t have trouble navigating. Even better, you have complete organization of all your phone calls, emails, and texts from your customers. When you need to read a note from a customer, or want to send one to them while out in the field, you have a simple method of finding everything in seconds. This is the true method toward staying competitive in your field while you start becoming more mobile-friendly in your company. It’s a tool all your employees can use so you’ll all stay connected with the people who matter. Contact us here at GroupLink to find out more about our CRM solutions for mobile and how it’s going to improve communications with your customers in ways you never thought possible.